Home News Battle Islands Arrive in Auraxis: Esports Fans Rejoice? 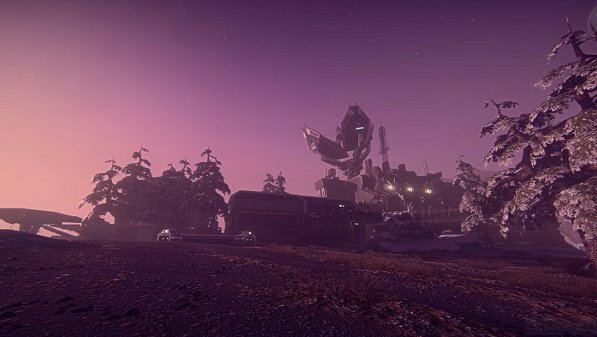 Battle Islands Arrive in Auraxis: Esports Fans Rejoice? If you like the concept of PlanetSide 2 but prefer a wee bit more structure in your FPS games, you’re in luck. Sony Online Entertainment today announced a new upcoming game mode for PlanetSide 2, which should offer more balanced, goal-oriented firefights. Battle Islands will use the same game engine and basic gameplay as the open-world PS2 game, with all the weapons, vehicles, and options normally available on Auraxis, but will feature structured fights between two outfits in a tighter, population-restricted, area. The video of one of the islands, icy Nexus, shows a large base sporting all sorts of nooks and crannies, flanked by a pair of perilously close warp gates, so the action is sure to be fast and furious. SOE promises multiple win conditions for Battle Islands, so the fights will have some variety beyond simply attack/capture and all-our fragfests. When we initially heard of SOE’s partnering with MLG to bring PlanetSide 2 to the lucrative e-sports arena, we wondered how they would adapt the game’s free-for-all gameplay into the more structured forms generally found in e-sports. Battle Islands seem to be the means to fulfill those lofty aspirations. Still, e-sports implications aside, it’s an unusual and unexpected step for SOE, deviating as it is from the core gameplay of both PS2 and its predecessor. From Day One, we’ve been told that PlanetSide 2 is about massive, three-faction, open-world warfare – and now, at least as far as Battle Islands go, it’s not. I’ve often lauded PlanetSide 2 for being one of the few MMO titles that “specialized” in a type of gameplay – in this case, open-world PvP – rather than trying to appeal to everyone with a bunch of different gameplay elements, as far too many MMO games do. There’s no PvE, no dungeons, no raids, no crafting – and, until now, no “limited” PvP modes. Is this something PS2 fans were clamoring for? I’ll admit to not spending a bunch of time on the forums to see what people are talking about, but, in my mind, there are plenty of games out there that offer this kind of “closed-world” FPS experience. If I want to play one of those, I will. I play PlanetSide 2 for an entirely different reason. While I’m intrigued by what Battle Islands have to offer, I’m also a little concerned with how they could detract from the open-world gameplay. It can already be difficult to find decent-sized battles on more than one continent during off-peak hours – and occasionally during peak hours. Will Battle Islands siphon away even more players from the open world? It seems to me that this is a move aimed squarely at the e-sports crowd, rather than the rank-and-file PlanetSide 2 player. If those two communities can co-exist side by side and, in combination, build the game up, that would be great. But it seems just as likely to me that it will double the demands on the dev team, as they have to account for a new style of gameplay and an entirely new set of players, whose goals and interests may come into sharp conflict with each other. dude who wrote this,does not play planetside 2….and if he did was a years ago when it was called…planetside…. You know I could see this being something for those that can’t run PS2 all that well. Sure the engines the same but you’re not rendering as much (least I’d assume so) and that can give a hefty amount of FPS back. Unless this is going to be just a smaller map but same game with limited players, it could work. I personally may try this out. PS2 is fun but sometimes there’s just no real goal/end to it. You hold up one place and take over another, may have some epic battles, but it becomes rinse and repeat after that. Which I don’t mind at all. But having something a little smaller scale that, I’m assuming, will end faster and actually have an ending (like rounds, final score, like most fps) would be appealing to those that don’t have time. I sometimes will have barely any time to get in a good game of PS2. Often I’ll fly over to the hot zone (or instant action) and maybe have enough time for a few lives. Sometimes I go and nothings happening on one side or they just took it over and are moving to another location. This hopefully allows for quicker games. Yeah, i might actually enjoy this mode. League of Legends begs to differ..
Maybe next time your comment could be something related to the article. Not some stupid 13 year old attempt to look cool. Why do you even waste time replying if you know its going to lead to a major spam fest ? And anyways anybody says 1st in the comments must be a real idiot or just a party pooper looking for attention. I like how the comments point to other comments not being about the article, and doesn’t say anything about the article themselves.